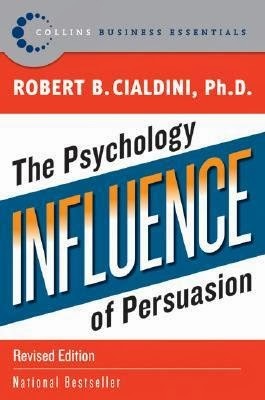 I've had the book Influence - The Psychology of Persuasion by Robert B. Cialdini long time in my reading list. That's the reason I had high expectations towards the book. It was a good book, but it didn't quite deliver to my expectations. This book is a business classic and has been discussed and reviewed so many time in different forums. The contents of it are important dive to the psychology of decision making. 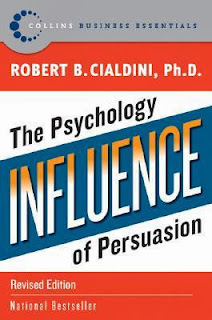 Why some are better to sell and persuade than others? What are their techniques and why those work? There are many really interesting and important topics covered. The thing is that this book is old. It was first published already 1984, nearly 30 years ago. Unfortunately this starts to show. The examples are not from this world and many have gone irrelevant already. The underlying psychological aspects are still relevant, but this book isn't anymore the best way to learn those. Best part of the book for me, was the section of commitment and consistency. It opened up how giving a smallest commitment tricks you to do many following actions based on your unnoticed commitment. I feel bit sad to give bad words of such a business classic. It's easy to understand why it had become classic and important book. World just have gone too far from year 1984. Psychology understanding has gone forward from those years, selling and marketing has taken huge leaps from those years and people's behavior is not what it was back then. As good book as this is, I still don't really recommend it to many. The ones who want to read the business classics, this is a must read. For others, it's a good book, but please be aware that it's an old one.